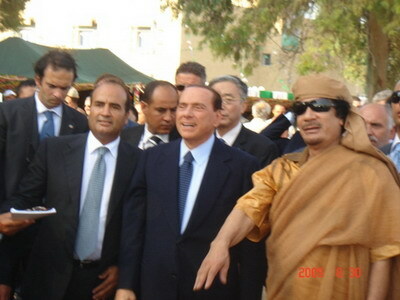 Libya's dictator Gaddafi 格達費 / 卡扎菲 معمر القذافي‎ has used students' revolts on Tiananmen Square in 1989 as a justification for bombing his own people with jet-planes. One of the reasons the students' uprising did not succeed in China is that the students actually believed that they could convince their country's leaders that their demands were reasonable. They also did not intend to overthrow the government. Some Chinese leaders were not in favour of the repression. Zhao Ziyang 趙紫陽 who did believe in the students' movement was indeed put under house arrest from 1989 until his death in 2005. 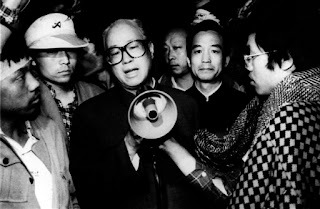 One of the then leaders to stand by his side when Zhao Ziyang, using a megaphone, tried to talk to the students is none other than China's current Premier Wen Jiabao 溫家寶. In spite of this demonstration of faith by Gaddafi, Chinese authorities are not reassured and are evacuating their Nationals from Libya. Relations have changed since Ambassador to Libya, Wang Wangsheng and Guo Chang, Warfare and Commercial Counsellor of Chinese Companies, were guests fo Libya's ruler with his friend Silvio Berlusconi as proudly displayed on the Chinese Minister of Foreign Affairs website. As commonly said but sadly true, with friends like this who needs enemies? My heart bleeds for Libyan people tonight. Apparently, the killings are so fierce that they are afraid to attend to the bodies of their loved ones. While the attention of the world media has been focusing on Arab revolutions in Tunisia and Egypt, one wonders whether Chinese authorities are using this brief lack of attention span from foreign media to make sure that the same uprising does not happen at home. The revolutions in Tunisia and Egypt, and now spreading to Algeria and Yemen, come from ordinary people who demand freedom and human rights. The protesting crowds in those countries never said that human rights had to be adapted to their particular culture or political situations. This successful method of toppling governments is problematic for many dictatorships and authoritarian governments, including the Chinese since they have adopted as a mantra that human rights have to be adapted to a particular political situation as Hu Jintao recently said when visiting the United States. In Shandong province, human rights blind lawyer Chen Guangcheng 陳光誠 and his wife Yuan Weijing 袁偉靜 were released from jail in September 2010. They managed to film a video of the conditions of their house arrest. Prominent Chinese dissidents and even former CCP Party Secretaries have often been condemned to house arrest (Zhao Ziyang was placed under house arrest for 15 years after expressing sympathies to student demonstrators during the 1989 protests). It has often been inferred that such sentences were a "milder" form of punishment than ordinary jail. However, until now it has been difficult to assess its severity or get a detailed description and feeling of what it entails. Immediately after Chen Guangcheng's video was posted, hired hooligans and government employees blocked all communication channels with the lawyer and his wife. Many citizens were beat up in the process but it has not been possible to verify with absolute certainty that the two detainees were themselves beat up. The Syracuse University College of Law, however, quotes "an inside" source that confirms the beatings. It is difficult to understand the reasons for such extreme measures. Cheng was, after all, working within the system. His earlier actions in 1996 was when he travelled to Beijing to petition that he should not be taxed by the legal government on various items in accordance with China's Law of the People’s Republic of China on the Protection of Disabled Persons 殘疾人保障法. 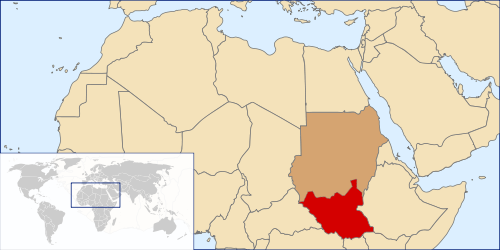 Western governments have all being criticized for having had dictators as allies, such as Moubarak and Ben Ali. Maybe, in view of the new lift-up on individual travel restrictions for Chinese citizens to Taiwan, no guilty Chinese leader would have to go to Saudi Arabia. 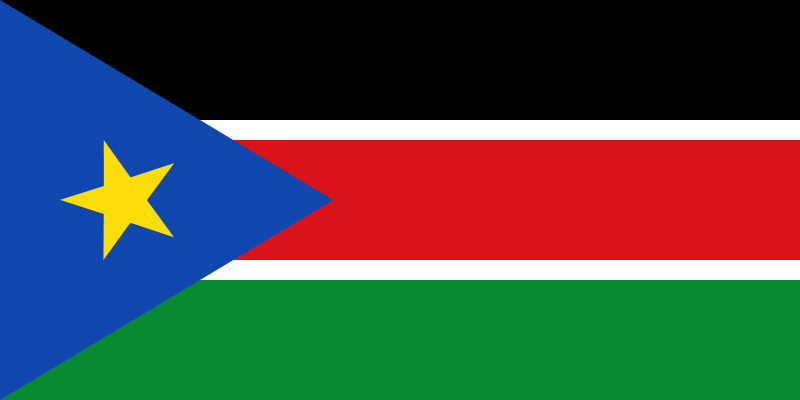 China says it will respect Southern Sudan's vote for independence. Obviously, it doesn't want to forfeit its chances of having access to its oil supplies. It is slowly learning that the strong hand and ignoring dictatorships is not always the best strategy. Of course, one question that comes to mind is whether this can be applied to Taiwan's independence. Would the Kuomintang 國民黨 be happy to hold a referendum on the independence question? Realistically, can the country (Taiwan!) afford one; it would certainly exacerbate tensions in Taiwan itself. I might have missed it but I'm not sure the Taiwanese government has issued a statement on Southern Sudan's independence, a bit too riské if you ask me. It was, however given good coverage in the Taiwanese media.